Mangaluru : The much awaited Tulu film ‘Tottilu’, produced under the banner ‘My Movie Makers’, to be released at Jyoti theatre on March 23. Speaking to press Producer Rohan Pradeep Agrar said that it was his maiden film. Tottilu a Mother Sentiment, Love Story and Complete family entertainment film. 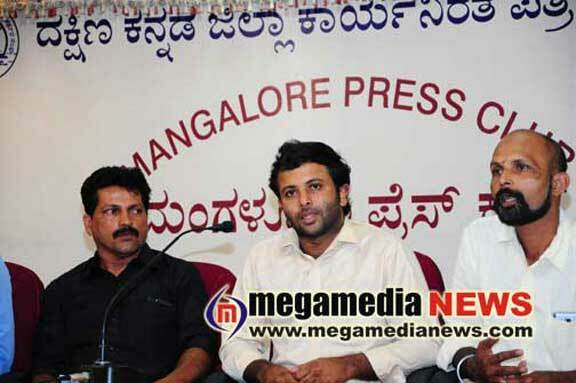 The people of Tulu Nadu should be encouraged the film he added. The movie is directed by Prajwal Kumar Attavar, He has also written the story, screenplay and the dialogues. Vijet Suvarna and Surekha Bhat are in the lead roles. Arvind Bolar, Umesh Mizar, Rajesh Skylark, K. Swarajalakshmi Alevooru, Sandesh Kotian Karkala, Akshata Amin, Sabarisha Kabbinale, Suraj Salian, Arpith Adyar, Santosh Shenoy, Chaitra Anchan, Master Pratheek and others have acted. The film will also be released in multiplexes across the coastal Karnataka in the second week, he added.